The ISO-L8R range is great value for money with adjustable pegs and tilt adjustment. Also available in aluminium with threaded adjustment as the Aperta range. Earn 99 loyalty points when you order this item. 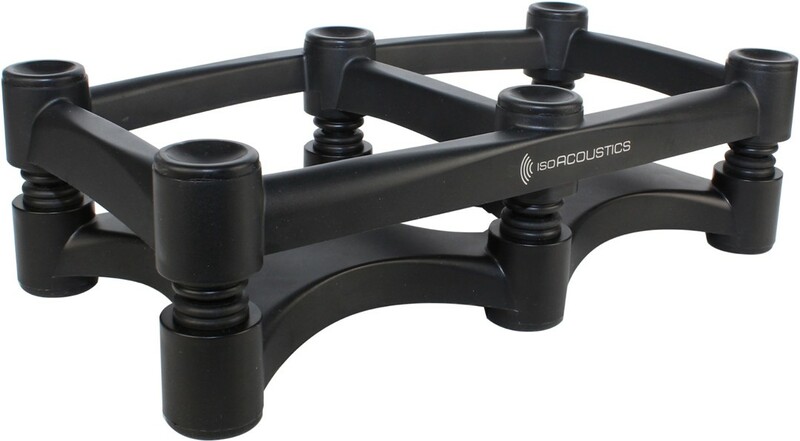 The IsoAcoustics ISO-L8R430 speaker stand is a member of the award-winning, highly-acclaimed patented IsoAcoustics stand family and is designed to be fully adjustable for use at home or in the studio. The stand supports larger speaker monitors in the recording environment and works to fine-tune your sound the way it's meant to be heard. Two lengths of tubing and two sets of end-plug pairs provide 14 height configurations which can be used to tilt the speaker up and down. The stand can be assembled and reconfigured repeatedly to establish the ideal position of the supporting surface and focused towards the listener. The tube lengths and end-caps combinations provide a simple means to establish optimal adjustment of large and small monitors over the typical 36" to 48" listening distance for mixing and evaluation. 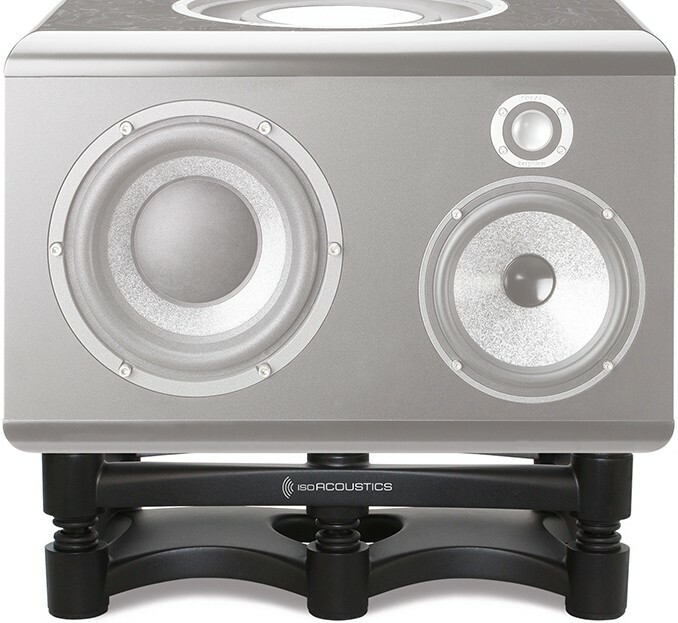 IsoAcoustics offers three sizes of audio stand to fit your speakers. Each size is optimised to get the most from your particular speaker system. Stands can be configured to 3" or 8" in height, with inserts that provide a variety of tilt-up and tilt-down adjustments. 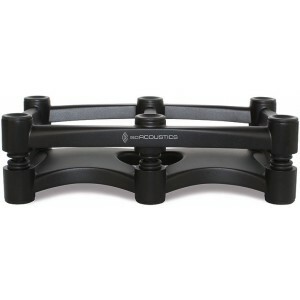 The ISO-L8R430 IsoAcoustics Stands' patented isolation technology allow large speakers to float in free space, resulting in the elimination of energy transfer to the surrounding surfaces. The result for the studio professional is markedly enhanced sound clarity, superior isolation and tightening up of the bass and the opening up of mid-range frequencies. The IS0-430's allow professional and project studio recording pros to bring out the best in their monitor system and hear true, clear, uncolored sound. Measuring 17" in width and 9" in depth, the ISO-L8R430 stands are designed to support large speakers weighing up to 100 pounds. The ISO-L8R430 stands also offer a variety of tilt adjustments. 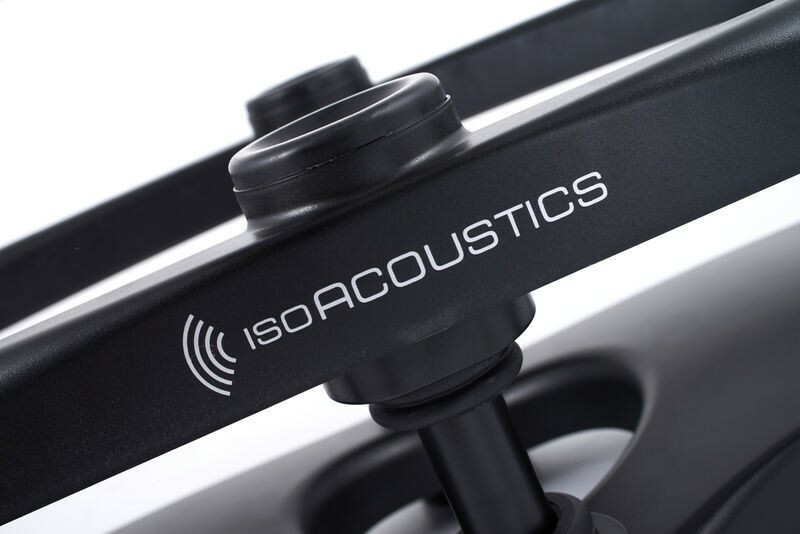 If you're not sure which IsoAcoustics stand to choose for your speakers, click here to go through IsoAcoustics stand finder which includes several speaker models. If your model isnt included, select the closest model then click here to select the right stand from IsoAcoustic full range.